Why go out for Asian, when you can cook it in?! My cousin and I had been planning to go out for sushi, but in the end thought it might be more fun to cook Asian in! My dad had been asking me to make sushi again and I wanted to take a stab at Pad Thai again. So I took a look through my little Chinese cookbook, looked through my sushi notes to refresh my memory on making that, searched around online to find an improved Pad Thai recipe to try out and sent my dad to the grocery store in search of rice noodles, a lime, pea pods and a few other key ingredients. I even tried making up a batch of scorpion bowls so we could have the appropriate fun drinks with our dinner! This salad dressing is very similar to the dressing on the salad you get at a Japanese restaurant with your sushi, which I love! It's also very simple - all you have to do is put all of the ingredients (except the 1/4 cup of oil) in a food processor and blend together well. Then at the end, add the 1/4 cup oil through the hole on the top of the food processor and add gradually while the processor is running. The salad part consisted of romaine lettuce, thinly sliced red onion, mushrooms, cucumber and diced tomato! Given I started my job this week and have been commuting from NH until I move into my apartment next weekend, I've had ZERO time to cook! Leaving at 6:30am and not getting back until 8 or 9pm, I've been relying on my wonderful mother to have dinner waiting for me! So after sleeping in this morning, I was excited to get a lot of cooking fit into the long weekend. First on the list - a nice Saturday morning family breakfast! We go through a lot of bread in this house, but there's always some left that hardens and dries out. It's perfect for me though because I love making bread pudding - I have a lot of different versions I make - for both breakfast and dessert. This morning instead of making french toast I decided on a breakfast bread pudding. I've made a great overnight apple version, but decided to try out a sort of tropical banana one today. This would be perfect for a brunch or a nice family weekend meal. Add a bit more sugar and top with whip cream, and it could be dessert too. This dish is a great weeknight meal that can be put together quickly - and on top of that, it's healthy! Probably a couple years ago I stopped using ground hamburg in my meals, and instead, replaced it with ground chicken or turkey when a recipe called for it. 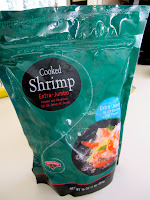 It's a great substitution - I feel better eating it and I like the taste of it better than red meat! This recipe makes 4 good size turkey burgers (at just 300 calories each!) or you can make meatballs with the mix as well. The ingredients actually go really well with a red sauce and pasta if that's what you're in the mood for. 8 more apartment kitchens to share! This past weekend we looked at 8 more apartments, and there were quite a few highs and lows. First of all, I want to send a big thank you to my friends Danielle and Zach for taking the time to look at an apartment for me on Friday night when I couldn't make it all the way down from NH! We left NH on Saturday at 8:30am and didn't get back until about 5pm - managed to fit in 7 apartments in 4 different towns, and fingers crossed that I'll get accepted to one of the ones I liked! So without further ado, a mixture of comedically awful kitchens and really impressive ones! Friday night my friend Allison sent me the link to this apartment and after calling the realtor, she explained that it was the last night she could show the apartment, so I was determined to find someone to go see it for me! Thankfully, a couple of my friends stepped up to the plate and went and saw it for me! The 1 BR apt. was just completely re-done, and yes - there are brand new appliances that come with the apt, even though this picture doesn't show them. When I saw the kitchen in this picture I knew it would be perfect, even if there isn't a ton of counter space. 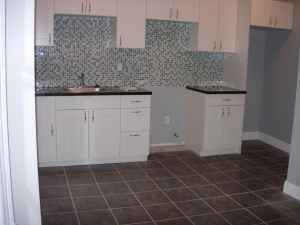 The tile backsplash, new cabinets and appliances, new tile floor, hardwood floors, great location just an 8 minute walk from Porter Square - everything sounded great! VERDICT: Yes, please!!! Just one street up from Apt #5, the location for this apt was also great. Though some people may not like this kitchen, I thought it had a lot of character! The red cabinets (and lots of them! ), full-size stove, lots of counter space - and everything was in pretty decent condition. Outside of the kitchen this apt has lots of space too - a separate living room and dining room, which is nice since I have a pretty big dining table, hardwoods floors, outdoor space and parking. It definitely needs a lot of cleaning done since the current tenants are there until 3/1, but I think this apt has a lot of potential! VERDICT: Yes, please!!! 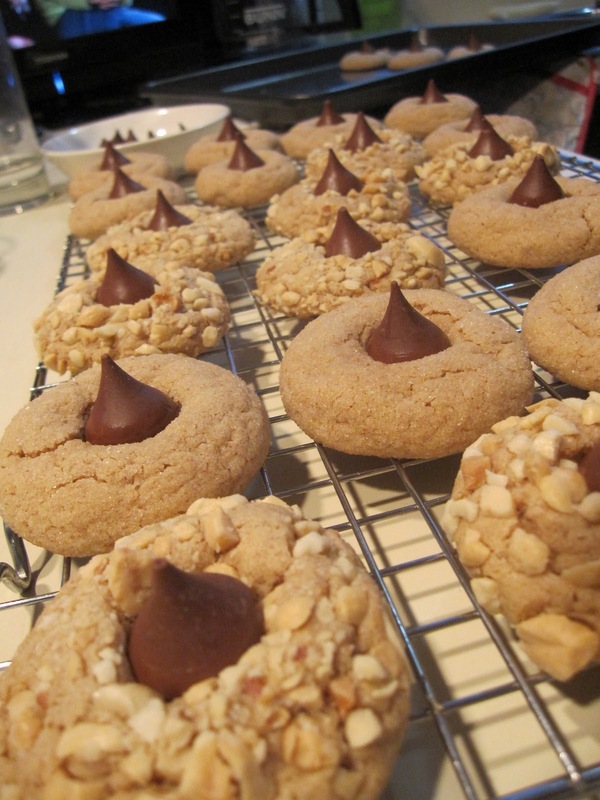 Thanks to Sugar Coated Kitchen for the base recipe for these cookies! I cut the original recipe in half, so the ingredients listed here will make about 15 medium sized cookies, so if you want more than that it will be easy to double the ingredients! Kubota Squash, Kumquats and Shrimp! It's been a much busier couple of days than I expected on the apartment search front (kitchen pictures to come! ), so I wasn't able to get this post up until now! But it will be worth the wait, I promise! This meal was definitely one of the ones that I said would make its way on my restaurant menu if I ever opened one. I came at this food challenge thinking about similar types of foods to those ingredients given to me. For example, I thought about other recipes I've made with squash - butternut squash soup, roasted squash; or with citrus, because kumquats are in the citrus family. This helped me to come up with the dishes I made on Friday night! 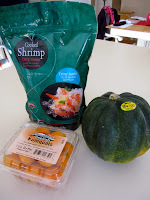 Friday Night "Chopped" Challenge: Roasted Squash and Citrus Spinach Salad; Kubota Squash Ravioli with a Citrus Butter Sauce, Seared Shrimp and Asparagus; Citrus Shortbread Cookies with Candied Kumquat! I will admit that this meal was a lot of work. It definitely wouldn't be a good meal for a simple weeknight dinner, but it would be great if you're looking for a special occasion or entertaining menu. I started cooking around 3pm and we were eating by about 7pm, though I had made the cookie batter earlier in the day and didn't get to baking the cookies until after dinner. 13 Sargent Road's very own "Chopped"
Okay, so does everyone out there know that show on the Food Network, Chopped, where each contestant gets a basket of ingredients that they must use for their dish?? Well, we're doing that here at my house tonight! There's a couple differences of course - 1.) On the show they have 30 minutes to prepare their dish (I need WAY more than that), 2.) On the show they don't know the ingredients ahead of time, I do! 3.) On the show they start out with 4 contestants, in my version, I'm the only contestant! I sent my dad to the grocery store the other day and told him about this plan of mine, to replicate Chopped, and he did a good job picking out 3 ingredients I have to use in tonight's meal. He brought home . . .
A Kubota Squash . 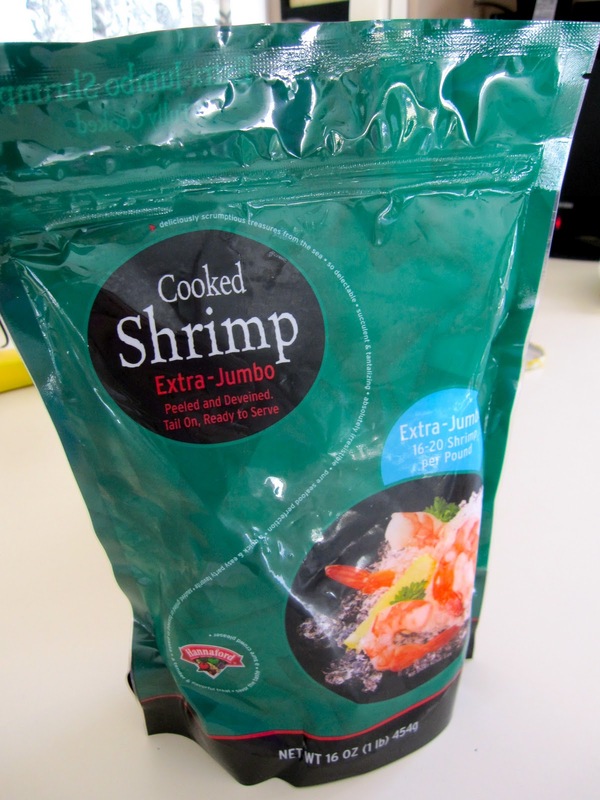 . .
and a bag of Extra-Jumbo Shrimp! Make sure to check back in later tonight to see what I ended up cooking with these ingredients! I'm sure there have been plenty of times that you've passed by all of the boxed goods in the baking aisle and thought to yourself, can people really tell if I've made something from the box or from scratch? I think that if you're used to eating desserts from scratch you can tell sometimes - but in a time crunch, boxed brownies can definitely be a substitute. I did a test run tonight on one way to doctor up a box brownie mix to make it your own and make it a little more presentable than just the plain brownies. 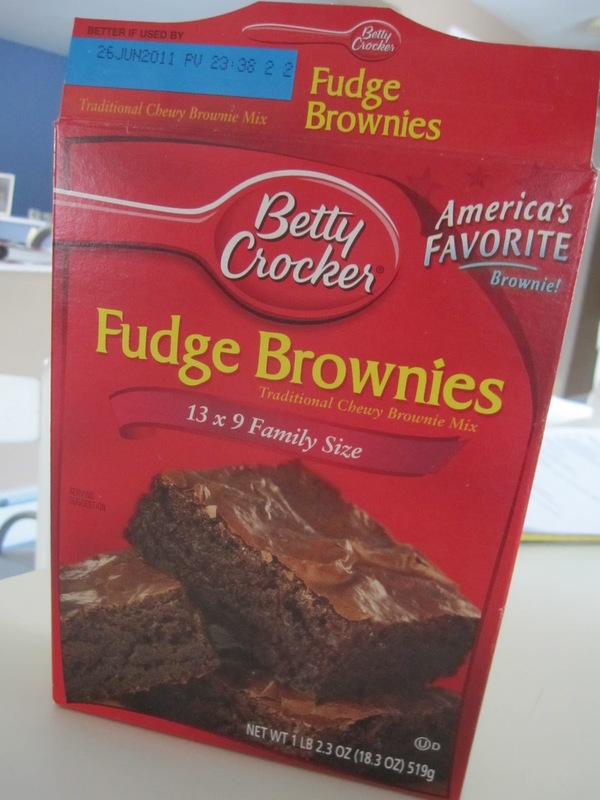 If I ever make box brownies, the least I do is add chopped walnuts, raisins, chocolate chips or peanut butter chips. I've read about adding butter and rum, espresso, peanut butter, crushed candy bars - you can be really creative here even if you don't have the time to make a batch from scratch. 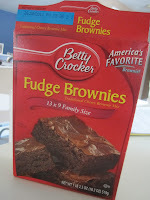 This time around I decided to test out a cheesecake brownie with this box of Betty Crocker Fudge Brownies. My dad knew immediately that it was a batch of box brownies, but my mother and I were pleasantly surprised with how good they turned out given they were from a box! I can't fit a chicken roaster in there!! As many of you may know, I recently accepted a new position working at Harvard University in their International Advancement Office! I'm very excited about starting this position - and as long as the job search took, I feel like the apartment search is going to take even longer! I'm under a lot of restrictions though as I look at apartments - I need something available soon, because otherwise I'll have probably a 2 hour commute each way between NH and Cambridge each way with rush hour traffic. I also have a budget I need to stick to and don't want a difficult commute between my apt and Harvard Square, where I'll be working. Originally, my thoughts were to look at one bedrooms in Quincy and Arlington, because they're red line and Cambridge accessible - and much more affordable than being right in the city. As I'm sure you can guess, the first thing I want to see when I look at a prospective apartment is . . . the KITCHEN!!! So yesterday we went to look at four apartments - and it is amazing to look at some of these apartments thinking someone would actually feel okay living there. I'm probably pickier than some - but I also know that with my budget I can't expect granite countertops and walk-in closets! I'm realizing that this picture looks way better than this kitchen actually was! You can see it a little - but above the stove there, the wall was chipping and cracking. All I could picture was cooking on the stove and having paint chips fall into my pans! Everything needed to be replaced in this apt - it was $1,200 a month and didn't include anything. We opened the fridge and it started making the loudest rumbling noise ever. The cabinets needed to be replaced or at least washed - and there was no counter space. VERDICT: No thank you! It's true - you can try a new recipe and spend all day working on it, and in the end - it's just okay. This is sort of what today felt like. Both my mother and I both spent what seemed like the whole day in the kitchen. My task at hand was finding something to do with the leftover chicken roaster from last night's dinner so I decided the best thing would be a soup of some sort. I also bought a bag of lentils over the weekend at the grocery store that I wanted to try out - so I paired the two and made a sort of Indian Lentil Soup. After a whole lot of chopping, stirring, simmering - the lentil soup was just okay. I definitely didn't season it enough and I'm going to be on the lookout for a better lentil soup recipe (so stay posted!). I've always struggled with getting my chicken roaster to taste as flavorful as I want it to - without adding a whole lot of gravy, that is. I've tried a lot of recipes - lemon basil, brined, butter rubbed - and now . . . Tandoori Rubbed! You definitely have to like Indian flavors and spices to get into this meal - but I thought it was a great alternative to the usual roaster meal. The only thing I wish was that every single roaster came with a pop-up to tell you when it was done. I still haven't mastered the art of being able to tell when my roaster is just done perfectly, but I've adjusted this recipe so that you can try your best at a nice juicy chicken roaster! We made sandwiches with this roaster, but you could also make it into a Sunday dinner by pairing it with something like a coconut basmati rice and vegetables. Brown Sugar: Good or Bad? What do you do when a recipe calls for brown sugar and you reach into the cabinet and yours is hard as a rock because you either a.) left it open and unsealed or b.) last used it in 2005 when you tried to bake once before ... The first thing you want to try is putting the brown sugar in the microwave. Try your best to measure out the amount you need so that you don't microwave more than you need. This should soften it right up because the only difference between white and brown sugar is that brown sugar has molasses mixed in - giving it the brown color. This also explains why dark brown sugar has a stronger molasses flavor to it - it has a higher concentration of molasses than the lighter version. So what you thought was bad brown sugar is now good again! Brown sugar is a great ingredient that adds different flavor than white sugar, though you shouldn't be quick to substitute in every recipe. Brown sugar is a moister sugar, it will often make your baked goods more moist. Nutritionally, there isn't a big difference between the two. When you want to substitute, the amounts are equal - so 1 cup of white sugar = 1 cup of packed brown sugar. An important note - "packed" means that you use the back of a spoon to press the sugar down into the measuring cup until you have a completely packed down amount. Food Fun Friday with the Flinns! Just over a month ago one of my best friends got engaged and asked me to be her Maid of Honor - with a wedding planned for August 20th, there's lots to do! There is one benefit, and one benefit only, to her living far away in St. Louis during all of this wedding planning: I was invited to attend the catering tasting with her parents since she couldn't! After being stuck in traffic and arriving almost exactly one hour late, the eating began! So a big thank you goes out to Chef Sean for waiting! A Day to Remember is a catering company based in Methuen, MA - and one of the recommended vendors at The Stevens Estate, where the wedding will be held. One of the most interesting parts of the night was getting to know Sean and the background behind he and his wife's catering company. Of course it helped that we were being treated to delicious food, along with the wine we were allowed to bring along for the evening. One thing we noticed was that, by the end, we were questioning if we had too much food on the menu. The food just kept coming - but Sean made a great point that the guests will not be sitting at a table eating all of the food at once, like we had been doing all night. Give me anything that pairs chocolate and peanut butter, and you've made me a happy girl :-). This is why Peanut Butter Blossoms are one of my favorite cookies. I haven't come up with anything new here - in fact, I did a little research and found out that this recipe first showed up in 1957 at the 9th Annual Pillsbury Bake-Off! 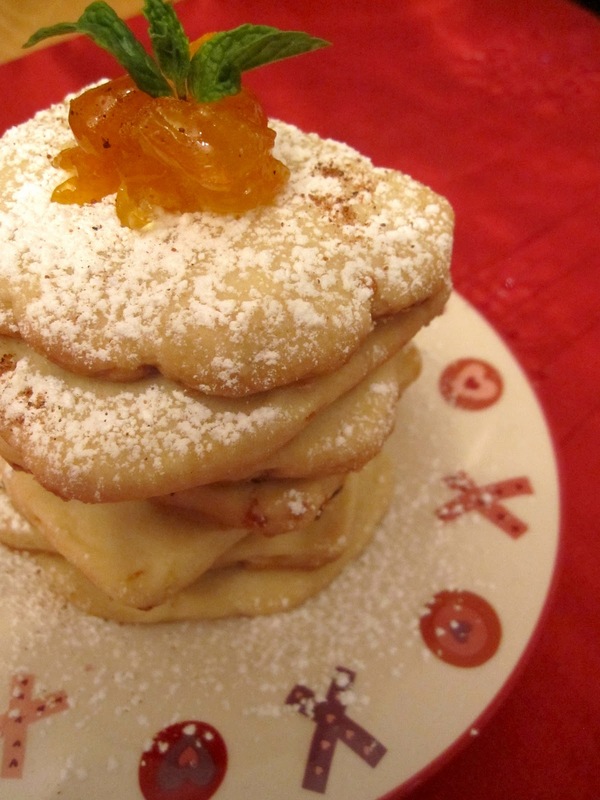 So thank you to Freda Smith of Ohio for creating these cookies over fifty years ago! Traditionally this recipe is made with shortening instead of butter, but I like using butter in my recipes and I think it tastes just as great! This recipe makes about 28 cookies - and if you're just making them for at home (not for a party), feel free to throw some of the batter or baked cookies in the freezer to save for another time! You'll like this dish even if you don't like Onions! Growing up there was a Christmas parade near my Nana's house every December - all of my aunts, uncles, cousins, we all went to it and had a big family dinner afterwards. That dinner was always "Onion Sauce." I know, it sounds horrible, but I promise it's not. 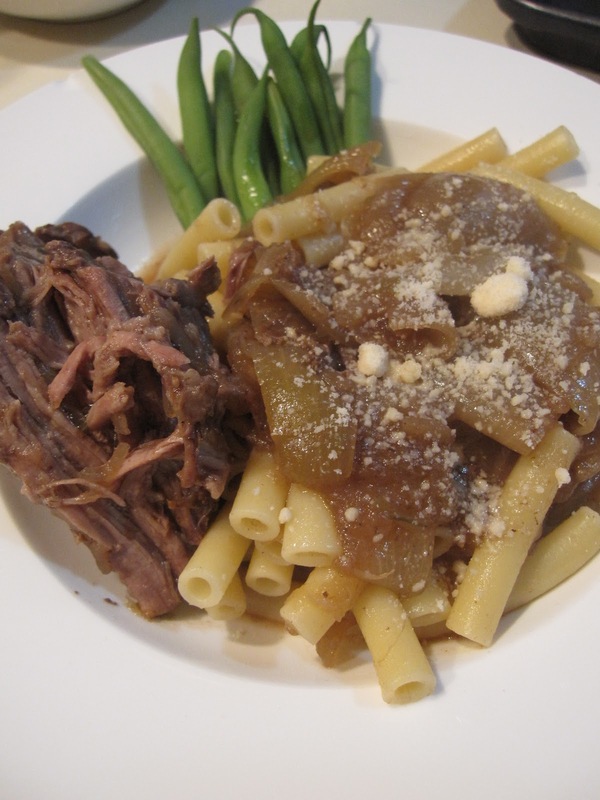 I didn't like onions until I was much older, but I always looked forward to this meal. It's great if you're hosting a big group of people because it easily makes a lot and once you get it on the stove in the morning, you don't have to worry about it until it's time to serve! This is also worked well for today's big snow storm - it's a great winter dish that we all enjoyed tonight!